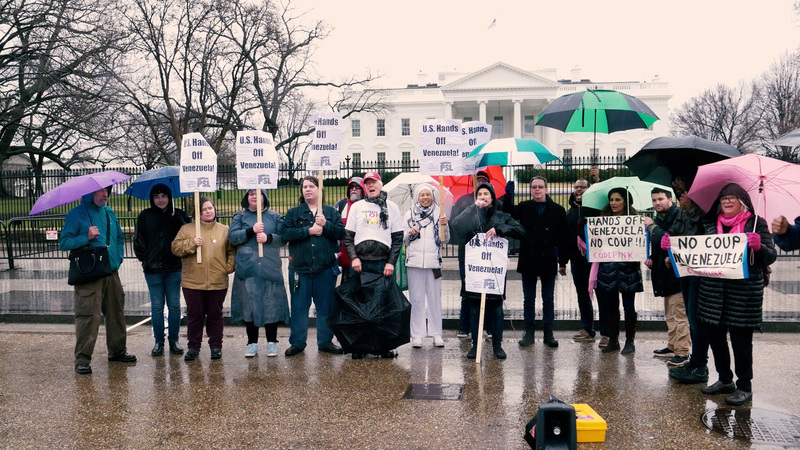 Emergency protest in the rain in front of the White House by the Party for Socialism and Liberation and Code Pink to protest the US threats against Venezuelan sovereignty. Permalink Submitted by a l c h y m e d i a on Tue, 02/05/2019 - 00:54. The Grayzone Project authored a very detailed history of US oversight, support and funding for the anti-Chavista opposition in Venezuela.